In the 1940s, he was a sketch artist for Disney Studios and Metro-Goldwyn Mayer and he taught at the Chouinard Art Institute in Los Angeles from 1943 to 1951. From 1948 to 1953, he also taught classes at the San Diego School of Arts and Crafts. Messick’s vernacular observations are intended to bring to life the color and the spirit of his times. 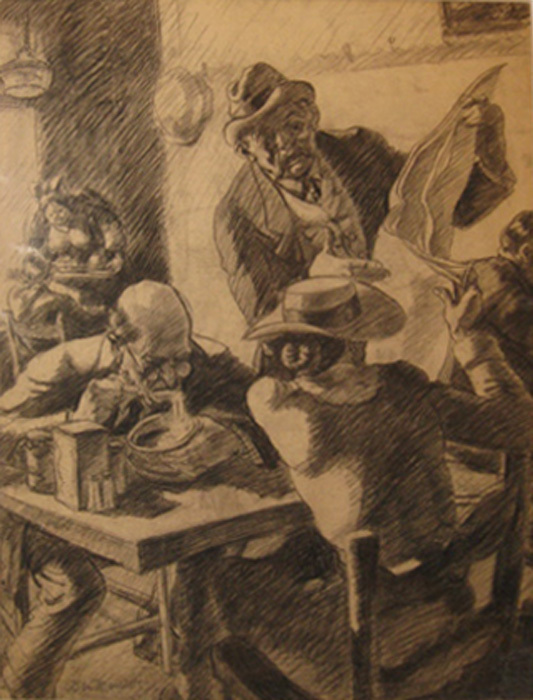 During the Depression years, he worked on a number of WPA murals in the Los Angeles area and did three murals for the United States Treasury Department in Washington DC. His work has been widely exhibited and is included in such collections as the Los Angeles County Museum of Art, the Laguna Art Museum, and the Springfield Museum of Art in Missouri.